Everest Base Camp Trek from Jiri is the traditional route which was approached by initial Everest Expeditions. There aren't any road connected with Everest Base Camp. The nearest bus station was Jiri. Nowadays the road has constructed up to the Salleri. But sometimes, the road might be blocked due to the landslide. So, one can travel via road to this trekking beginning point from Kathmandu. In other words, this classical Everest Base Camp Trek from Jiri trail is the longest route to reach the first base camp of Mt. Everest. After five nights and six days hiking from Salleri, Namche Bazar, the capital of legendary Sherpas will be reached. Afterward, follow the same path to Everest Base Camp that commenced from Lukla. Lukla or let's say Tenzing Hillary Airport is in 35 minutes flying distance from Kathmandu. Day 07: Acclimatization day at Namche Bazar. Day 08: Trek to Trek to Tengboche. Day 09: Trek to Dingboche. Day 10: Acclimatization day at Dingboche. Day 11: Trek to Lobuche. Day 12: Trek to Everest Base Camp and stay at Gorakhshep. Day 13: Hike to Kala Patthar, trek down to Pangboche. Day 14 Trek to Namche Bazar. Day 15: Trek to Lukla. Day 16: Fly to Kathmandu. Drop to your hotel. Everest Base Camp Trek from Jiri finished here! Kathmandu to Salleri by Sharing Bus. Kathmandu Domestic Airport Picks up by Private Car. Lukla to Kathmandu Flight Fares with Airport Taxes. Sagarmatha National Park Entry Fees. Trekker's Information Management System Fees. 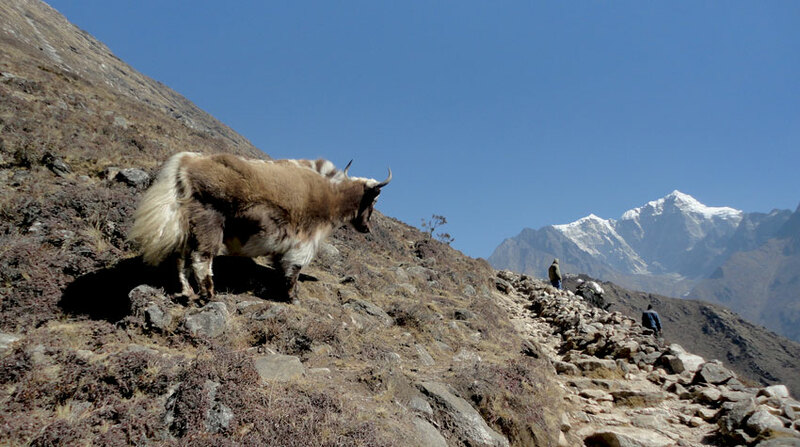 Wants some modification on Everest Base Camp Trek from Jiri itinerary? contact us to customize it.